There are loads of different ways to cook cauliflower rice but my two favourite methods are sautéed with onions and garlic, and roasted. Cauliflower rice makes such a nice change and surprisingly there isn’t an overpowering taste of cauliflower when you eat it. 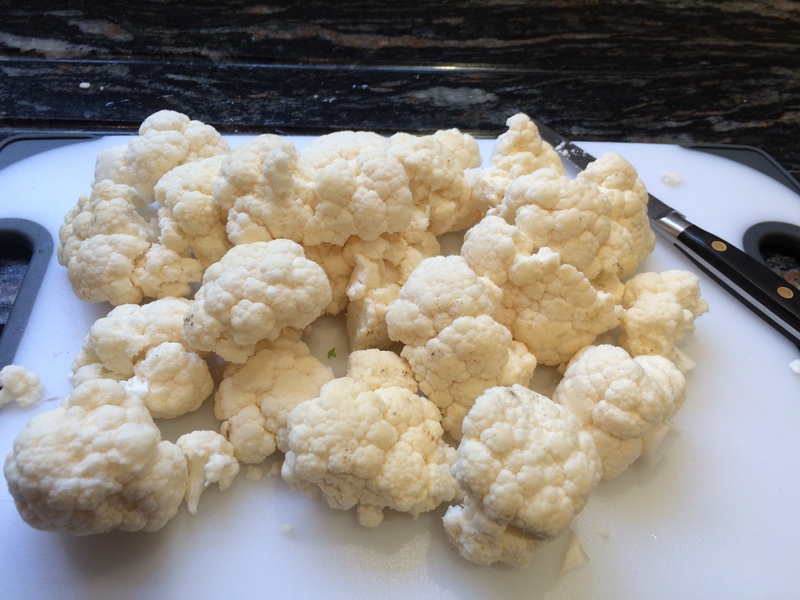 The one problem I do have with it is when I prepare the cauliflower in advance, stored it in the fridge – even well covered, it ‘stinks’ every time I open the fridge door! 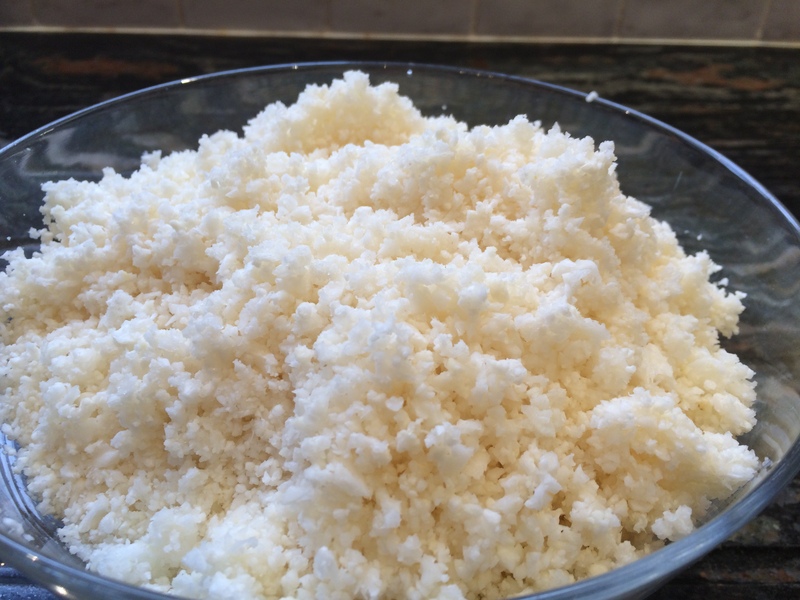 Cauliflower rice can be processed (or grated) and frozen in containers, then cooked from frozen saving even more time. It is very simple to prepare – take a cauliflower and remove the outer green leaves and cut into quarters, removing most of the thick stem. Cut the quarters into chunks and blitz each quarter in a food processor until it resembles rice grains. Process each quarter separately so that the cauliflower doesn’t overload the processor and turn to mush. If you don’t have a food processor, grate the cauliflower. Saute some sliced onion and garlic in a pan with a little coconut oil for three to four minutes. Add the cauliflower ‘rice’ and saute for four to five minutes more stirring all the time. Season and serve. Spread the cauliflower ‘rice’ on a large baking sheet and place in a hot oven for about twelve minutes, stirring with a fork half-way through cooking. Season to taste and serve. Cauliflower rice can also be microwaved, stir-fried, mixed with spices and/or fresh herbs – the list is endless. 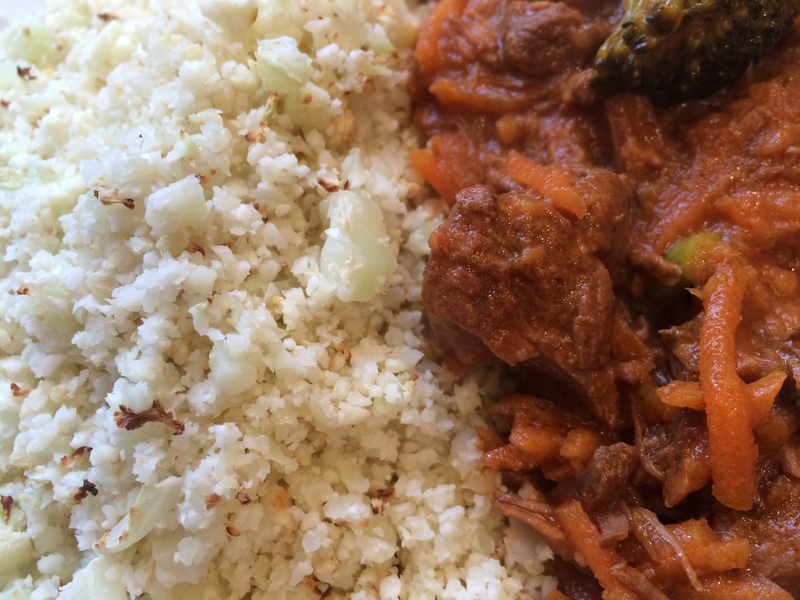 This entry was posted in Miscellany, Vegetables, Vegetarian and tagged Cauliflower, Rice. Bookmark the permalink. never tried this before going to make it this weekend! I love the roasted ‘rice’. Light and fluffy. I used cauliflower to make a stir fried rice. It was so good and my family didn’t even realize there was no rice in the dish. If you’re interested, you can find my recipe at https://insidekelskitchen.wordpress.com/2015/08/22/cauliflower-fried-rice-sneaking-vegetables-to-your-family/. Have a great day!!!! Thank you. I’ll check your recipe out.